We are told that cholesterol is a major cause of heart disease. Approximately 100 million people are currently taking cholesterol-lowering medications, known as statins, and millions more people are avoiding foods that contain saturated fat and cholesterol. The basic idea is that dietary saturated fat raises cholesterol levels, and these two substances somehow clog-up our arteries, causing a heart attack. This idea is often referred to as the diet-heart hypothesis. However, a number of doctors and researchers have been challenging this hypothesis for decades, and the latest heart disease statistics reveal some alarming facts. In addition, despite their widespread use, and description as "wonder drugs" statin medications do not extend life expectancy for the majority of people who take them. Cholesterol-lowering has become a huge global industry, generating around $20 billion each year. 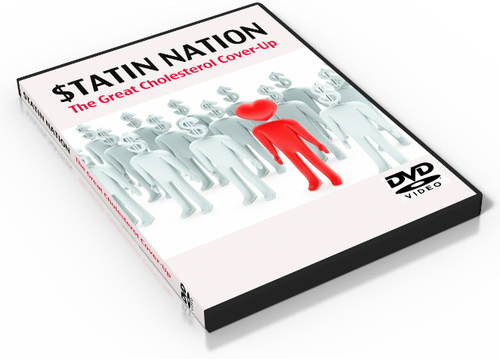 Have the facts about heart disease, cholesterol and cholesterol medications been distorted by pharmaceutical companies and food manufacturers keen to increase their profits? If the focus on cholesterol has been a mistake, then the greatest cost is associated with the lost opportunity to tackle heart disease.